Prof. Vida Samiian knew just whom she wanted to blame when the search to fill the Edward Said Professorship in Middle East Studies was suspended at California State University, Fresno. As she stated in an angry letter of resignation from the faculty, Samiian believed that the process had been derailed by “vicious and discriminatory attacks launched by Israel advocacy groups.” She was unconvinced by the administration’s explanation that the search had been ended solely due to “critical procedural errors” that violated the written policies of the Academic Senate. . . . The only thing missing from Samiian’s powerful accusation was proof. 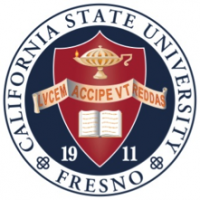 Her lengthy resignation letter mentioned only three “inappropriate comments” by allegedly pro-Israel faculty members, one of whom is retired, and the claim of “intimidation” appears to have been based largely on criticism of Samiian’s own outspoken support for the boycott of Israeli academic institutions. . . .
Fresno State’s president, Joseph Castro, flatly denied Samiian’s allegations. “No university official was pressured by any individual or group to cancel the search based on candidates’ ethnic background or political point of view,” he said in a video message. . . . The Islamic Human Rights Commission sent a letter of complaint to Castro, stating that “It seems clear that the cancellation of the search for a candidate to assume the professorship came after strong lobbying from the American pro-Zionist lobby.” Writing in The Intercept, journalist Murtaza Hussain repeated the unsubstantiated accusation . . .
. . . Conspiracy theories are usually thought to be the province of the extreme right, but in this case they seem to have infected the progressive anti-Israel community as well. It is especially ironic to imagine “Zionist” manipulation at a place like Fresno State, where the Jewish community is minuscule and hardly in a position to coerce the administration. According to a local rabbi, there are over 24,000 students on campus, of whom only about a dozen are Jewish. There is no conflict between Jews and Palestinians, he said, “because there is no Jewish presence.” . . . The Third Narrative (TTN) seeks to play an important role in the debate over peace in the Middle East by helping to counter false and delegitimizing claims made against Israel by activists in the Boycott, Divestment and Sanctions Movement. This program also develops key relationships with domestic progressive constituencies to gain their constructive support for a negotiated solution to the Israeli-Palestinian conflict.